Leasing one’s property can be a difficult affair, especially if you have no firsthand knowledge of how to manage the business and professional aspect of it. 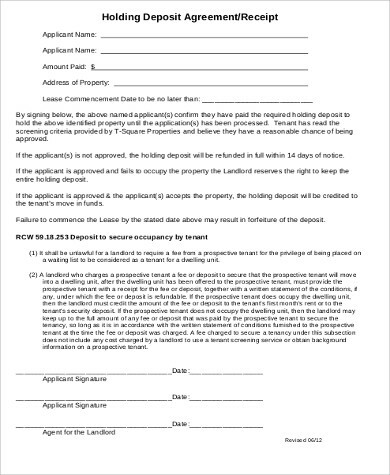 If you are a landlord, you need to subscribe to formal procedures in the process of leasing your land or property. 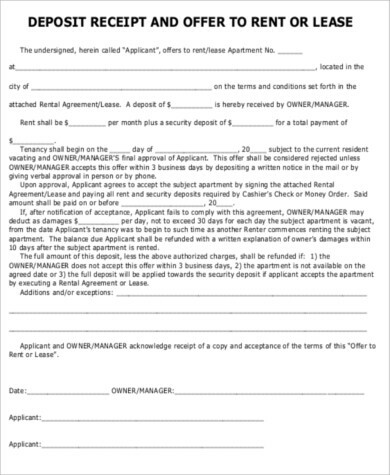 In line with this, you need to issue a rent deposit receipt to your tenants right after they have made their rent deposit. 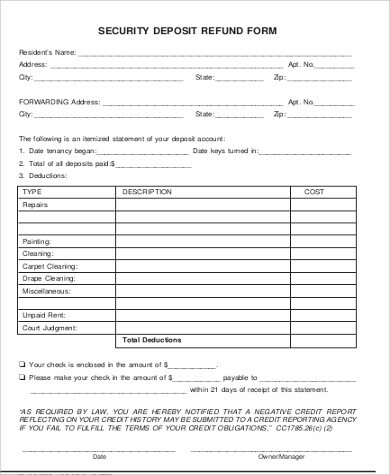 To know more about rent deposit receipts, refer to our templates on this page. 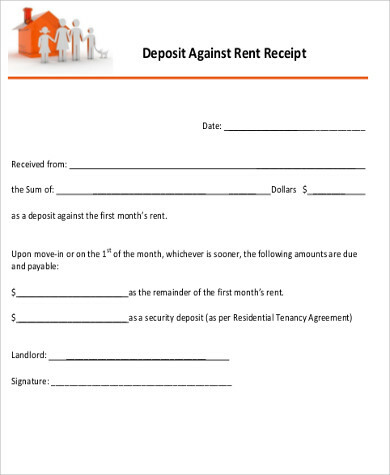 We have a wide collection of rent deposit Sample Receipts that are easily downloadable. Scroll down below and select the template that you deem helpful to your needs! Security Deposit – A security deposit is the amount of money that a tenant agrees to pay the landlord before occupying the tenanted property. The purpose of this deposit is for the payment of reparation fees in the event that the tenant has damaged the property that he/she has rented. Advance Deposit – An advance deposit serves as an advance rental payment that can be consumed by the tenant on his/her last month of tenancy. This deposit is equivalent to the monthly rental of tenanted property. What Is a Rent Deposit Receipt? 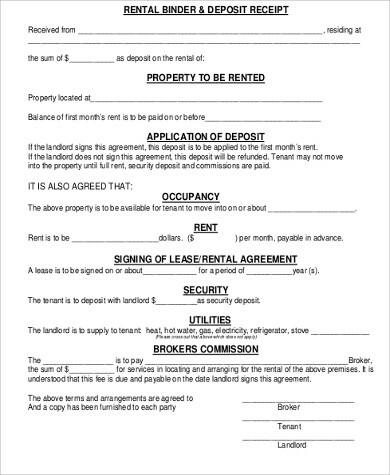 A rent deposit receipt is a document that a landlord would give to his/her tenant upon receiving the rent deposits agreed upon. Rent deposits are usually given before the tenant actually occupies the property. 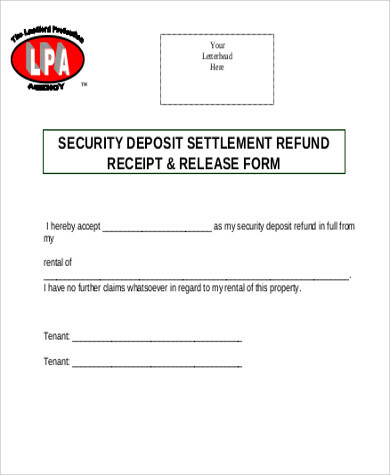 Aside from rent deposit receipts, we can also provide you with a variety of Rental Receipt Samples. 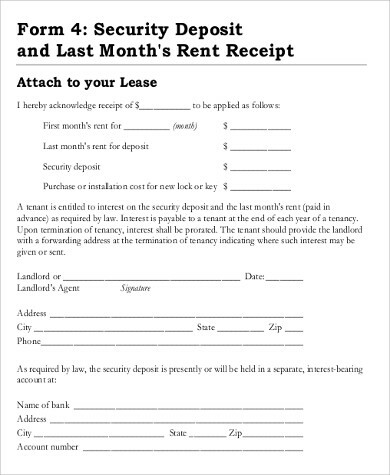 These templates can be used as receipt for the monthly rental payment of your tenants. Access these templates by clicking on the link provided. It can serve as a good proof or evidence for tax purposes. The reason for this is property that are leased are commonly considered as commercial properties. These properties, therefore, are subject to commercial laws. Additionally, commercial properties have different taxes as compared to non-commercial ones. During the payment of taxes, most states require documents relating to the leasing of such properties. Some of these documents are the proofs of rental payment by tenants, rent deposits, utility bills, etc. 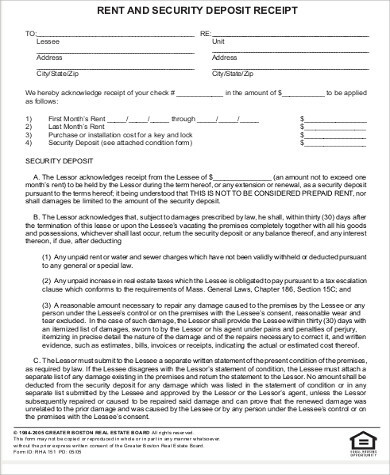 It can help tenants feel assured that their payments are formally accepted, thus future disputes of whether or not the tenant has made previous rent deposits would not arise. It helps encourage good faith between the lessor and lessee. By providing one’s tenant with a formal receipt for the rent deposits, this shows the tenant that you are observing formality and transparency in your transaction, thus encouraging trust to build between both parties. Speaking of receipts, you can also check out our collection of Free Printable Receipts. This collection can provide you with various receipt templates with general layouts and formats for standard receipts. Simply click on the link provided.